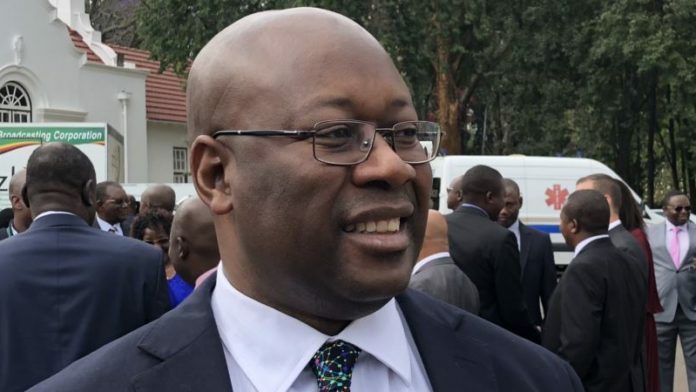 THE issue of availability of foreign currency to Zimbabwe’s mining companies is being addressed, according to Zimbabwe’s Minister of Mines Winston Chitando, but he said details could not be revealed at this stage. Chitando was speaking at a ‘Spotlight on Zimbabwe’ seminar organised by strategic risk firm Africa Practice & law firm Webber Wentzel at the Mining Indaba being held in Cape Town. His comments follow a barrage of complaints from the country’s gold miners in particular that they were not being allowed to keep enough of their hard currency earnings from gold sales to sustain their operations. Instead, they were being paid the bulk of their revenues in bond notes or zollars which had a nominal face value of parity with the US dollar, but which had plummeted in value over the past few months and now traded at around three to one US dollar. In November, RioZim announced it had shut down three of its gold mines after running out of the hard currency required to buy consumables and spare parts for its operations. Asked what exactly the Zimbabwean government could do about the foreign currency situation given reports that the country was nearly bankrupt and on the verge of a new bout of hyperinflation, Chitando replied: “There will be a statement by the Reserve Bank governor any day now and it would be improper for me to release insights into what he is going to say”. “But Government is fully aware that the issue of foreign currency retention has to be addressed,” Chitando added. Panel member Sheila Khama, a lead mining specialist, energy and extractives for the World Bank stressed the importance of transparency in the Zimbabwe government’s dealing with business. Khama proposed a modification of Chitando’s mantra of “Zimbabwe being open for business” to one of Zimbabwe “is open for open business”. However another panel member, Colin Chibafa, CFO for Anglo American Platinum’s Unki mine, commented that: “Our approach has been that if you raise issues in private you get a lot more of a listening ear than through trying to raise them in public”. Referring specifically to the country’s indigenisation proposals, Chibafa commented: “Asking an investor to be a minority shareholder yet take all the risk in terms of putting up capital … that scenario does not work”.